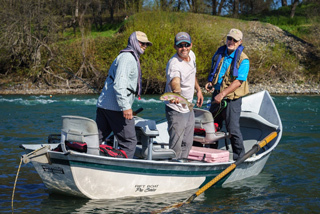 Project Healing Waters Fly Fishing offers therapeutic outdoor recreation for disabled veterans and active duty military personnel through the successful application of fly fishing as a rehabilitation tool. The PHWFF San Francisco Program was launched in January 2017 in cooperation with the national PHWFF organization, the Golden Gate Angling and Casting Club and the San Francisco VA Medical Center. 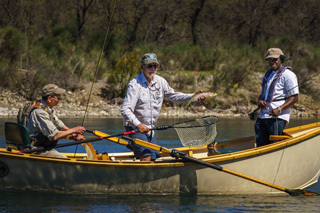 Project Healing Waters Fly Fishing is much more than a one-time fishing trip: our unique program helps veterans working to overcome the mental and physical stress of service. We strive to help those who have served our nation by offering on-going, year-round support, classes and outings. For many participants, our classes and the associated socialization and camaraderie are just as important as our fishing outings and provide a new and rewarding activity. 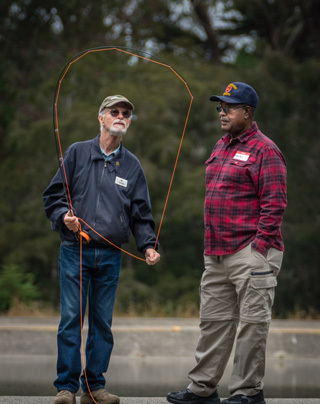 To remove any financial barriers for disabled veterans and active duty service personnel, all equipment, classes and fishing outings are offered at no cost to PHWFF participants and all funds for the PHWFF San Francisco Program are raised annually by its volunteers. Project Healing Waters Fly Fishing is a501(c)(3) non-profit organization incorporated in Maryland. We are dependent on tax deductible, charitable donations and the help of numerous volunteers to meet the educational, equipment, transportation and other needs of our participants. The veterans of Project Healing Waters Fly Fishing San Francisco also need your unused rods, reels, waders and other fly fishing gear. To donate fly fishing equipment, contact Henry Little. Whether you donate funds or your time, your contributions make a great difference to those who have served their country. Project Healing Waters Fly Fishing San Francisco thanks you for your generous support. 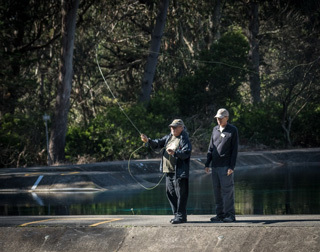 PHWFF San Francisco holds classes and practice clinics every other Wednesday from 10:30AM until 1:30PM at the Anglers' Lodge and Casting Pools in Golden Gate Park. If you have any questions about Project Healing Waters Fly Fishing San Francisco, its history, or its scope and impact, please contact Henry Little at your convenience.